EQ3 designs, produces and sells affordable, modern furniture for every room in your home. 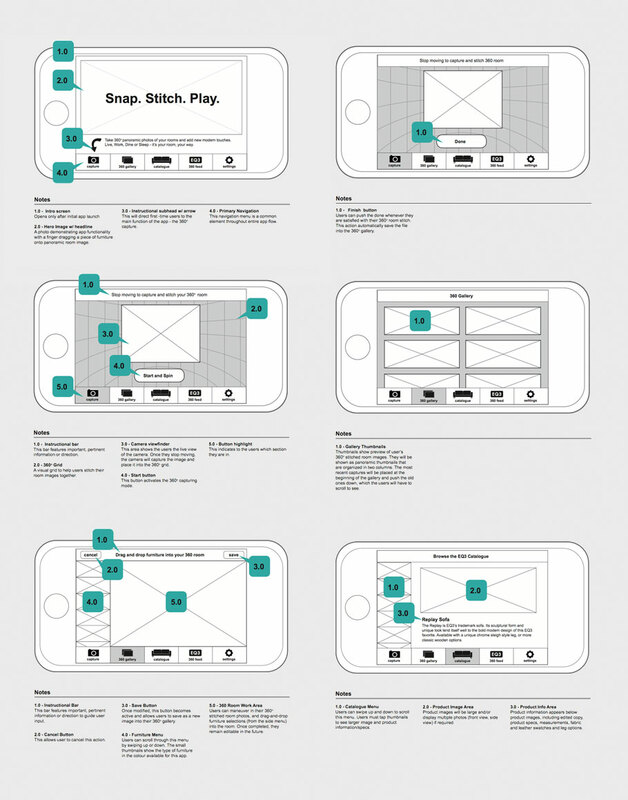 These draft wireframes were for a proposed visualization tool that would enable users to place EQ3 products into stitched panoramic photos of their rooms. The business objective of this app is to promote the brand by helping customers envision the company’s products in their homes or work spaces. It is common knowledge in the industry that consumers don’t make impulse decisions when shopping for furniture. Providing a visualization tool would not only help potential customers in their individual design process, it aims to build brand loyalty through creative engagement. 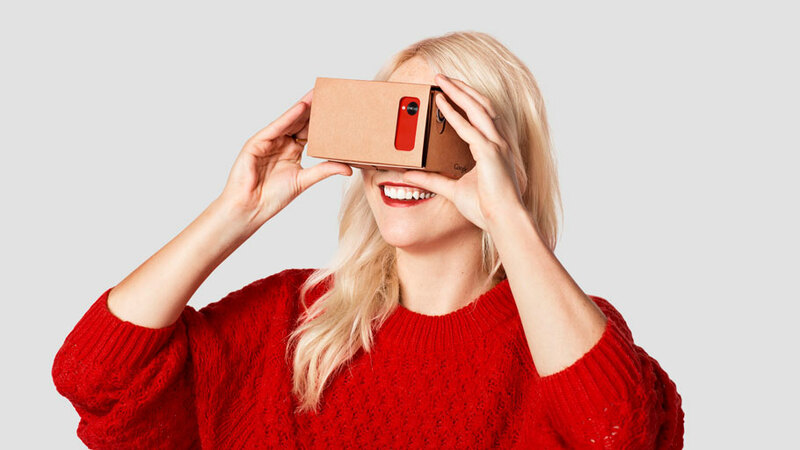 A future phase of the EQ3 360° concept would enable designers to provide an accessible VR experience to their customers, along with the opportunity to develop promotional collateral with branded cardboard viewers. I also envision using these tools as a way for the brand to engage customers with narrative driven content, through initiatives such as influencer room tours, product launch previews, and as trade show exclusive experiences that would draw crowd attention and participation.